We have successfully closed 2018 with a series of proud achievements. 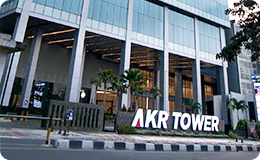 This proves that the transformation process we have carried out on the back of three main pillars is the right business strategy for the growth and sustainability of PT AKR Corporindo Tbk in a long term. “Moving Forward with the Right Strategy”, is a main message that summarizes important values of all positive performances achieved in 2018. The theme becomes more significant when considering that in 2018 the Company has strengthened its position as a leading player in the trading of petroleum, logistics, and supply chain business segments in Indonesia. The global economic and financial conditions in 2018 ran the risk of uncertainty. Trade tension between the United States and China significantly impacted the global economy. Moreover, the United States Federal Reserve (the Fed)’s policy to raise its benchmark interest rate also added to the global economic uncertainty. Indonesia’s economic condition is also affected by the global economic condition. For almost the whole year 2018, Rupiah exchange rate, especially against the US Dollar, was depreciating. In fact, in October 2018, the Rupiah exchange rate was at Rp15,200/ USD, or the lowest since the 1998 economic crisis. From macro economy point of view, Indonesia’s Trade Balance was deficit in 2018. The Central Statistics Agency (BPS) recorded that Indonesia’s export value in 2018 only increased by 6.65% to USD 180.06 billion, while the import value grew at the faster pace of 20.15% to USD188.63 billion, resulting in Indonesia’s trade deficit of USD 8.57 billion in 2018. This was the first trade deficit in the last four years. In the midst of such conditions, Indonesia’s economy still had a higher growth of 5.17% in 2018 from the previous year’s GDP growth of 5.07%. This stronger growth of Indonesia’s GDP was attributable to the stronger consumption spending coupled with good management of inflation by the Government. Inflation rate in 2018 was recorded at 3.13% or lower than that in 2017 of 3.61%. However, Bank Indonesia decided to increase its 7-Day Repo Rate by 175bps in phases to 6.00% at the end of 2018 compared to the previous year’s position of 4.25%. In 2018, AKR focused on the transformation process that has been carrying out since 2017. A range of improvements related to work process, human capital and information technology are continuously made and enhanced. Moreover, since 2017, the Company has focused on developing business potential within the country. In 2018 the Company continued the divestment process of Khalista, the Sorbitol producer in China. The divestment process, including auction of Khalista’s land by the local government, was completed at a very good price in 2018. Divestment of Bumi Karunia Pertiwi which engaged in the coal mining business was also completed in March 2018. These completed divestments have strengthened the Company’s cash position, which enables the Company to harness all opportunities available in country. In 2018, JTT commenced expansion of AKR-Vopak Terminal capacity from 250,000 kilo liters to 350,000 kilo liters. This additional capacity was to anticipate the growth of demand for Gasoline and Biofuel B20, where since 1 September 2018 Company has also been trusted to distribute B20. AKR is committed to fully supporting the Mandatory B20 Government Program for all industry players. In the petroleum distribution business, in 2018 the Company commenced the operation of BP AKR non-subsidized gas stations (SPBU) under a joint venture with BP. Until the end of 2018, 2 BP-AKR gas stations in Serpong, South Tangerang, and Jababeka, Bekasi, have started to operate. AKR BP SPBU has a different concept compared to other SPBU, where the Company collaborates with strategic partners in providing one stop service to customers. This SPBU is complemented with lubricants sales, vehicle maintenance provided by SiTepat/Castrol. The global and domestic economic conditions in 2018 are distinctive challenges for the Company. Domestically, Indonesia will enter a political year in 2019 which makes many businesses delay their investment and business expansion. This can be seen from the decline in sales of industrial estate evenly throughout Indonesia, including the Java Integrated Industrial and Ports Estate (JIIPE).However, this condition has become an opportunity for the Company to strengthen infrastructure in the first industrial estate in Indonesia that is integrated with the port. Since 2018, the Company has started selling power from its power plant to industrial clients. In addition, other facilities, such as fiber optics, gas pipelines, clean and waste water treatment have also been functioning properly, so JIIPE is ready to welcome new tenants in 2019. Back on March 9, 2018, President Republic of Indonesia, Joko Widodo inaugurated JIIPE. In his remarks, the President hoped that in the future there would be more industrial estates integrated with ports to reduce logistics costs. This is in line with the Company’s vision. Another challenge facing the Company came from human resources development. Rapid changes in the business world demand changes in working patterns and culture. In 2018, in line with the transformation process carried out, AKR introduced a new work culture. The work culture is expected to increase employee productivity without prejudicing the right and comfort at work. Total petroleum storage capacity increased to 734,000 KL with the operation of Terminal Nilam Utara with a capacity of 70,000 KL and we also started the development of Phase 2A project to add 100,000 KL storage capacity in the Jakarta Tank Terminal. Since the first day of Government Regulation implementation, the Company has 100% complied in terms of the B20 distribution. Number of AKR SPBUs reached 135 stations and we opened 2 SPBUs through BP-AKR Joint Venture. Reorganization carried out together with an international consultant has been completed and to be continued with the filling of positions needed for the organization. Revenue grew 28.8% to Rp23,548 billion from Rp18,288 billion in the previous year. This growth was mainly contributed by the 42.6% increase in trading and distribution of petroleum to Rp 17,140 billion. Total cash increased by 22.5% to Rp2,171 billion from Rp1,771 billion in the preceding year. This increase in cash has allowed the Company to invest in several potential growth areas. Net gearing ratio was maintained at a low level of 0.21x. Net income attributable for the parent entity increased by 36,9% to Rp1,645 billion from Rp1,202 billion in the preceding year, with net profit margin grew to 7.0% from 6.6% in the previous year. With this achievement, the Company was able to maintain the positive trend achieved in the last 5 years. The global economy is predicted to record better growth in 2019. The US-China trade war is expected to end. In addition, the Fed has also revised its plans and now still hold its interest rates. The Indonesian economy is also predicted to record positive growth. Indonesia’s economic fundamentals are considered strong enough in facing various global economic challenges. Although there will be no significant hike, Bank Indonesia predicts that the Indonesian economy will grow in the range of 5.1% - 5.4%. The Company is optimistic to enter 2019. A range of preparations made in 2018 will have a positive impact on the Company’s revenue and profitability in 2019. The trading business segment, which is the largest contributor to revenue shall contribute to grow with improving demand for High Speed Diesel from mining, power and commercial segment. The retail sales volume will increase with growth in retail network of AKR Petrol Stations as BPH Migas has assigned the company as the Business Entity Agency for the Distribution of Certain Fuel types until 2022. The Company will also continue to increase the number of BP-AKR SPBUs to target the growing retail segment. The addition in terminal capacity will also become a factor supporting the increase in the petroleum distribution and sales segment. In addition, as part of its collaboration with BP, in 2019 the Company is in the process of preparation to enter the aviation market, where demand of jet fuel has been growing in line with the airlines industry in Indonesia. The chemicals sales and distribution volume will also increase along with the opening of new plants in several regions of Indonesia. In addition the main principal of the Company has also added capacity to 700,000 MT in 2017. In Industrial Estate area segment, the Company expects JIIPE to provide stronger contribution in 2019. With the improving industrial sectors in 2019, sale of industrial land to tenant shall improve. With the complete facilities currently available, JIIPE will also become the top choice for companies in the industry sector and become the Company’s recurring income. Starting 2018, utilities has generated revenue for the Company. Adequate cash balance, strong balance sheet and capital base will enable the Company to carry out various business developments that have ample potential in 2019. AKR is very aware of the importance of human capital development, competencies and career. Therefore since the end of 2017 the Company has been focusing on the organizational and business transformation process. In 2018, AKR introduced new Corporate Values, namely Be entrepreneurial, Collaborate, Reward for Performance, Be Agile, Empower your Team, Zero Tolerance. In 2018, as a follow-up to AKR’s strategic initiatives related to corporate reorganization, the Board of Directors formed People Development Committee (PDC) which functions as career development advisor for employee. The Company has started Macan Leadership Institute (MLI), with its programs. In 2018, MLI ran 5 excellent programs: Onboarding Program, Leadership Development Program, Head of Branch Academy, Sales Academy and Top Talent Program. Information technology (IT) is an important part of the AKR transformation process. During 2018 AKR aggressively increased and made innovations in business processes through IT empowerment. In order to provide effective results and ensure alignment with business demand, IT organization has been restructured to carry out more strategic roles such as introducing IT as Business Partners to increase the availability of services in a timely manner, as well as to find out and track incidents more efficiently. In 2018, the Company completed the distribution system upgrade process. The system will be linked to the Company’s ERP, which will also be upgraded in 2019. IT is also expanding services to subsidiaries including in retail and logistics. As a responsible corporation, the Company provides support and commitment to preserve the earth through various policies and real actions in the field. With this effort, the Company partakes in reducing the negative impact of the earth’s environmental damage on humans, while also benefiting future generations to enjoy a better life on earth. The sustainability of life on earth will undoubtedly be a blessing for the Company’s sustainability. which allow environmental damage such as oil fuel spills, workplace fires, etc. 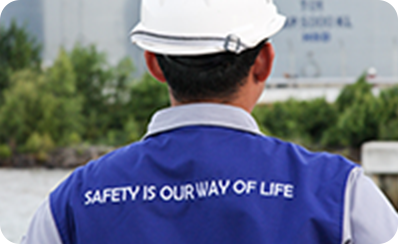 To that end, the Company routinely conducts various trainings to realize zero accident, as well as employee health campaigns. In 2018, the Company obtained Zero Accident awards for the Bitung, Ciwandan, Banjarmasin, Stagen and Palaran branches. AKR establishes Good Corporate Governance / GCG as the main pillar in every operational activity of the Company. All activities and strategies carried out by the Company must be in accordance with the applicable laws and regulations and prioritize the interests of Shareholders and other Stakeholders. risk management implementation are carried out properly and correctly, so that the Company can avoid all of these risks.The Company has applied the principle of transparency by always reporting its business activities to OJK and Indonesia Stock Exchange as well as other related parties within the stipulated deadlines. To assess compliance of the Company’s GCG implementation with prevailing legislation, in 2018 AKR also conducted GCG assessment using the ASEAN Corporate Governance Scorecard criteria. This was also part of the Company’s efforts to continue improving the quality of GCG implementation. Price fuel in the 3T region and opened a Basmalah Shop in SPBKB Grati and Tongas, East Java, in collaboration with Islamic Boarding Schools. In addition to these activities, the Company also continued to carry out community social activities, including renovation of school building, facilities and infrastructure, scholarship programs, provision of ambulances and various other activities. The Company also took part in handling victims of the earthquake and tsunami disaster in Donggala, Palu and tsunami disaster in the coast of Banten-Pandeglang. In addition to providing assistance in the form of ready-to-eat food, clothing and medicines, the Company also provided assistance in the form of fuel for heavy equipment vehicles used for evacuations and operational vehicles of Basarnas (national rescue agency). 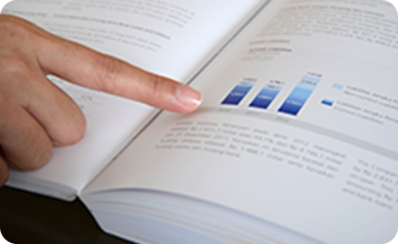 The Company is committed to providing optimal returns to Shareholders. At the Annual GMS held on May 3, 2018, the Shareholders decided to distribute cash dividends amounting to Rp801,483,719,000 or 66.69% from the net profit attributable to the owner of the parent entitu of the financial year of 2017 less the amount of interim dividends previously distributed. In addition, the Company also distributed interim dividends of Rp120 / share in 2018.
appreciation to the Board of Commissioners for providing directives in corporate governance. On behalf of the Company, we also would like to extend our sincere gratitude to our customers and business partners who have contributed to the development of the Company’s business, Shareholders who consistently provide full support for the Company’s development from time to time, and to regulators as policy makers.